Most people associate the first non-stop transatlantic flight with Charles Lindbergh’s epic journey in the “Spirit of St. Louis” in 1927. However, his flight was the first solo trip. The first transatlantic flight was really achieved eight years prior by British aviators Captain John Alcock and Lieutenant Arthur W. Brown. 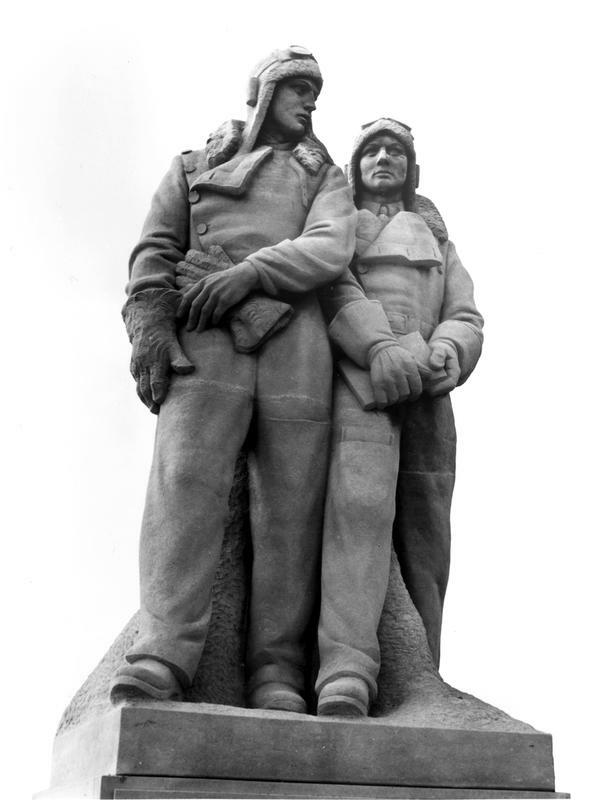 Both men were motivated by a £10,000 prize offered by the Daily Mail to the aviator who could first make the crossing. 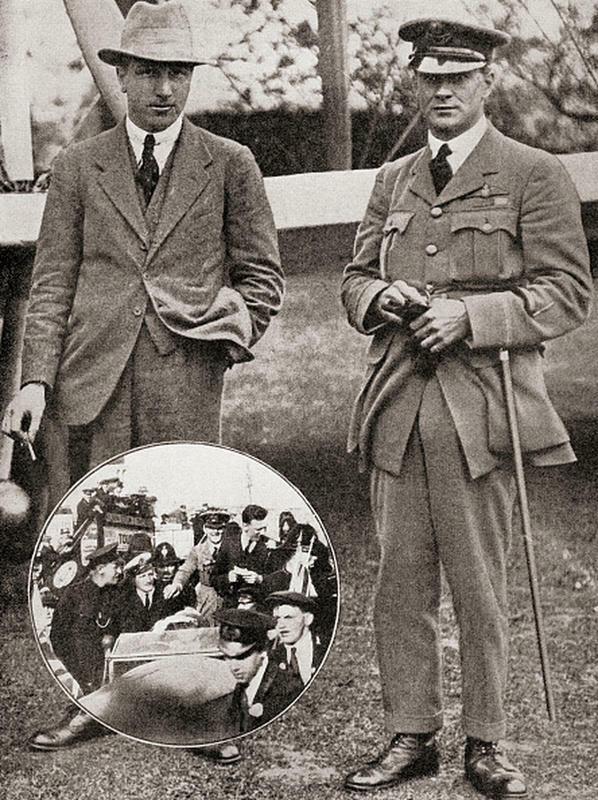 Alcock, a 27-year old veteran of World War I, had amassed over 4,500 hours flying for the Royal Air Force. The 33-year old Brown, also a veteran pilot, was to be his navigator. Both were eager to give it a go. 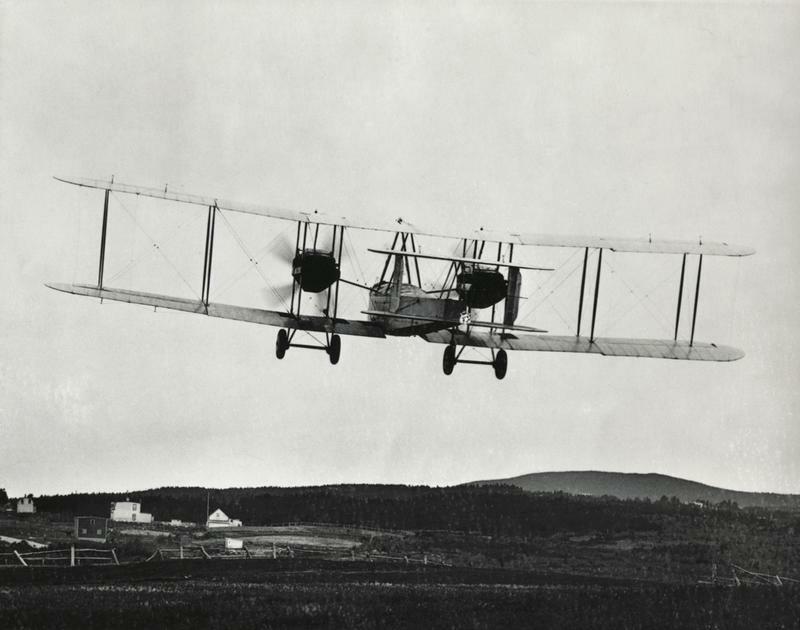 The duo took off on June 14, 1919, at 4:28 p.m., from St. John’s Newfoundland. 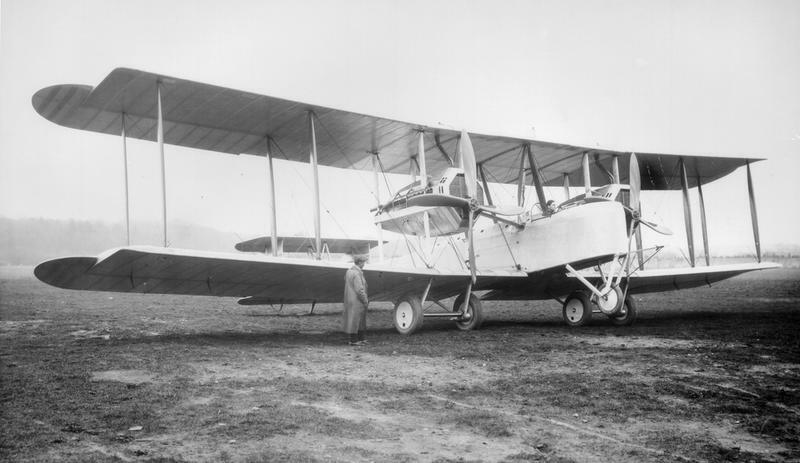 Their craft was a 42-foot twin-engine Vickers-Vimy plane, a bomber that was used toward the end of World War I. The plane’s war-making capabilities were modified so that instead of carrying bombs, Alcock and Brown’s plane could haul extra gasoline, a total of 870 gallons. Almost immediately after takeoff, Alcock and Brown encountered terrifying difficulties. First, their radio broke shortly after takeoff. 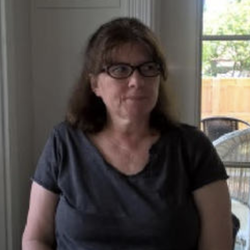 Once they flew out of sight and over the Atlantic, they were completely lost to contact. Second, fog and mist plagued the trip. As they flew east into the night, they could not get their bearings despite there being a full moon. But perhaps the worst obstacle was the biting cold. Alcock and Brown were flying at approximately 120 miles per hour. Despite it being June, the plane kept icing up. When either man would dip his head over the side of the plane, pellets of cold sleet bombarded their faces. Ice was getting into everything. Brown only managed to get their bearings four times, once by the sun, another from the moon, the third from Polaris, and the fourth from the star Vega. The steep spiral brought them within 50 feet of the water. Alcock quickly got his bearings and pulled them out in time. The speed indicator started working again. Then five miles distant, on the coast of Ireland the town of Clifden came into view. Excitement poured through the men as they searched the ground for a place to land. Seeing what they thought was a meadow, the plane slowly descended. Just before Alcock and Brown touched down they realized, too late, that they were flying into a bog. 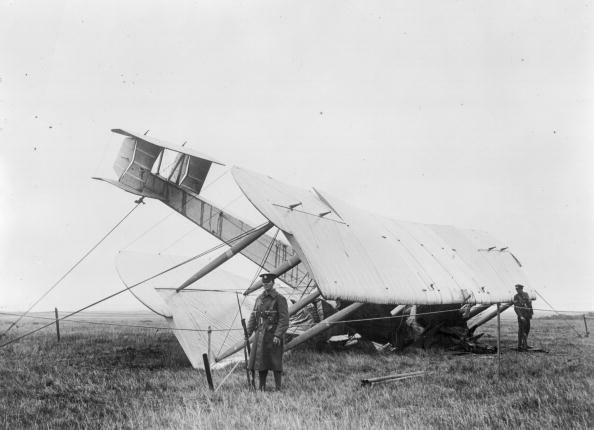 The Vicker-Vimy plane crashed, sinking axle-deep in the ooze and toppling over on its nose. The plane was badly damaged, but both men emerged from the wreck. Brown was dazed and Alcock was temporarily deafened from the crash. It was 8:40 a.m. local time, and they had made the pioneering journey in 16 hours and 12 minutes. Brown asked Alcock, “What do you think of that for fancy navigating?” Alcock shook Brown’s hand and replied, “Very good.” A little crowd gathered and cheered. For their deed, Alcock and Brown won the £10,000 prize Daily Mail prize and King George V entered them into the Order of the Knight of the British Empire. Historically, both aviators are overshadowed by Charles Lindbergh’s flight in 1927, but the Alcock and Brown flight was perhaps more groundbreaking and certainly as dangerous as the journey of the Spirit of St. Louis.